Some people have the natural ability to tear people down. And I don’t mean tear them down physically as in a beat down or something UFCish. I mean with words. We do not understand how destructive our words really are. Prisons, mental health institutes and cemeteries are filled with people who were destroyed by the words of others. There are people walking around right now and some may even be reading this blog who have allowed someone in their life to make them feel less than. Someone told you that you were ugly, fat, stupid or weak. Others may have implied it which to me is worse. The bottom line is you did not deserve to be told those things. On the bright side, today’s blog is designed to help us become builders – builders of people. We need to understand the power of the spoken word and let compassion be our safe guard for the things we say. We should be spraying words of encouragement all over the place. In the book of Hebrews 3:13 the bible says, “But encourage one another daily, as long as it is called Today, so that none of you may be hardened by sin’s deceitfulness.” Compassionate hearts encourage and they look for opportunities to do it daily. The way in which we encourage is important as well. When society or even Satan gives you reasons to be anxious, it is the encourager who comes with words from the holy writ and calms you. Where we are overcome by fear, the encourager stabilizes us with scripture. And when Satan tells us a lie, the encourager brings God’s truth. What a great week to spend time searching for those who need a word of encouragement. If nothing else, tell them that there is someone who is listening and he hears everything that we say. Tell them that there is someone who answers every prayer that we secretly pray. And then tell them that there is someone who loves us and he will NEVER turn us away. It’s Jesus the Savior from Mt. Calvary and he hears everything that we say! Thank you, Clyde… really needed this today. I absolutely love this! Excellent and on point!!! These words will set captives free!!! Thanks for posting this!!! Thank you Janine! God’s is so powerful and was designed to set us free! Thanks for reading! I love the idea that we bring scripture alongside a person’s problem to encourage them. I need to be sure that when I speak I speak as the “oracles of God.” Thanks for another great article! Thanks Helene! You are absolutely correct! We are nothing but God’s mouthpieces! A M E N! TALKING TO ME! 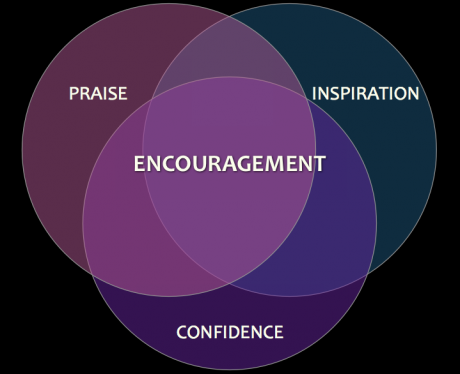 Encouragment is the centerpiece , connects us to all – praise, inspiration, confidence. Then it give us the ability to Reach Up, Reach In and Reach Out in line with God’s Will with the help of our Comforter. Wow! Thank-you Brother Minister!